CARROT Hunger - Talking Calorie Counter (Free) by Grailr LLC is the fourth iteration of the judgmental A.I. construct, and this time she’s fed up with meatbags overstuffing their faces for far too long. Now she’s taking action in the form of a talking calorie counter that rewards healthy eating and punishes overindulging. Do you think you can satisfy Carrot? 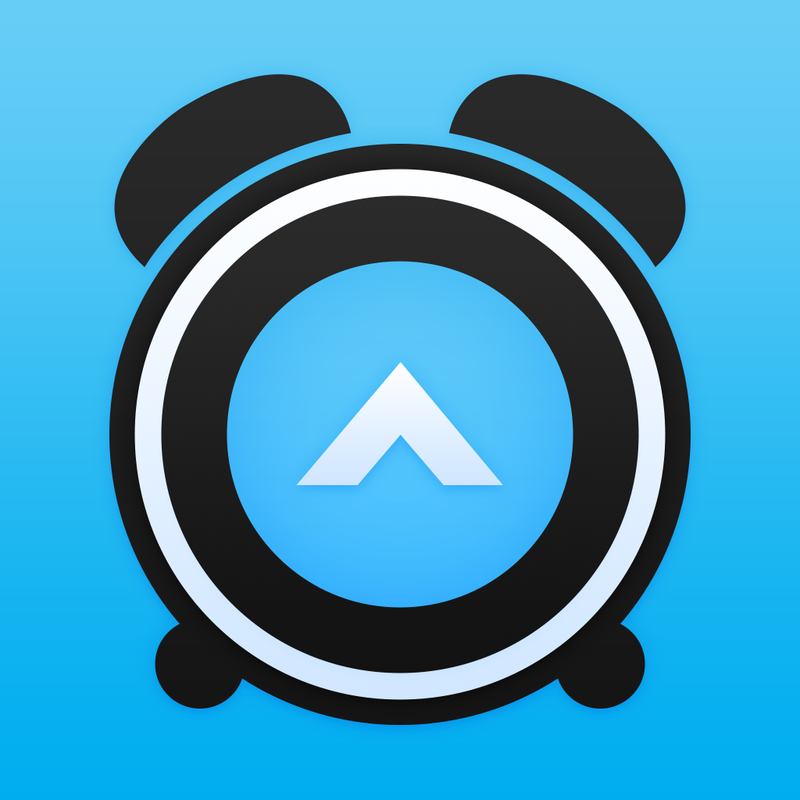 Carrot Hunger joins Carrot To-Do, Carrot Alarm, and Carrot Fit for the entire Carrot line of apps. It’s a new year, and I’m sure that many of you have made a resolution to eat healthier or become more active this year. I know — I do this too, but it’s so hard to keep up with healthy eating habits after a while, at least for me. I’ve tried keeping track of calories before with apps like MyFitnessPal, but eventually I just forget about it. 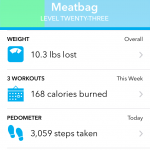 I’ve been a fan of the Carrot apps for a while (CARROT Fit being my most-used one), so I was excited to hear that Carrot’s next step was calorie counting, because it goes well the growing health app trend. 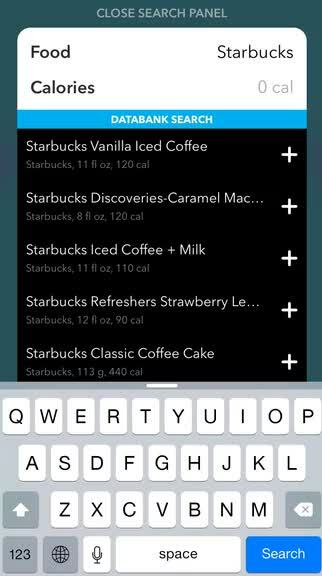 So now that I’ve spent some time with it, I’ve got to say that this is my new favorite way to log calories. 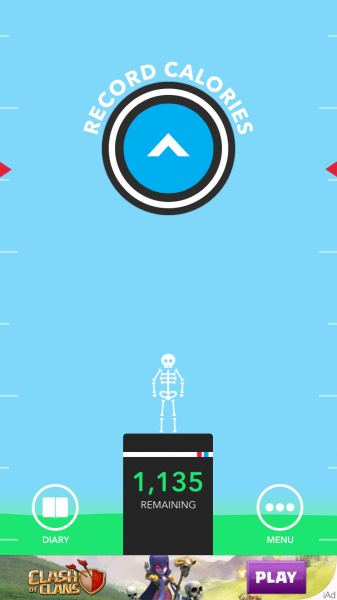 Carrot Hunger comes with an interface that is similar to that of Carrot Fit. You have a flat and simple design that is filled with bright, eye-catching colors, easy-to-read text, hilarious avatars, and the symbolic “carrot” button. 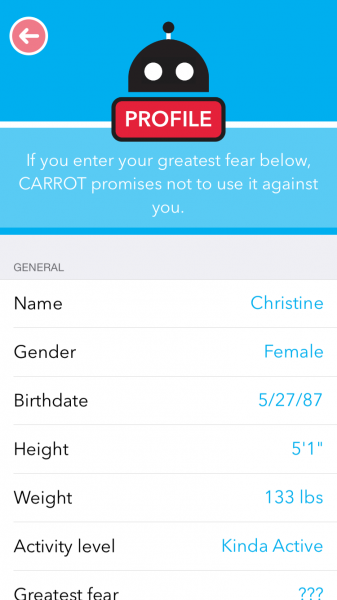 No matter what you do in the app, be prepared to face Carrot’s always-judgmental quips, which is part of the charm. Even if you’ve never used a Carrot app before, Hunger is intuitive enough to use after you get through the basic setup process. The setup involves basic bits of info such as your gender, age, weight, and height to determine your recommended daily caloric intake. 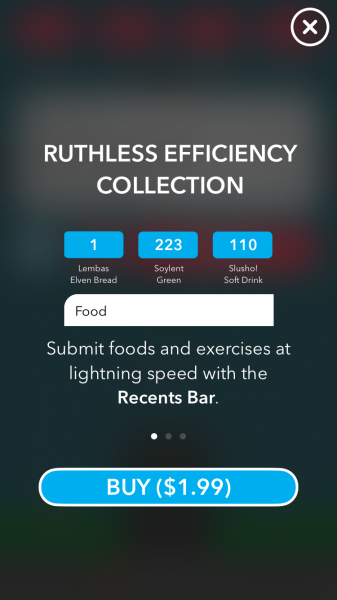 The thing that sets Carrot Hunger apart from other calorie counting apps is the fact that when you log a food item, she will tell you, in layman’s terms, the exact cost to burn off those calories you just consumed. An example of this is like you will need to take a 90-minute walk to burn off the calories that are in a single slice of pizza. This shines a whole new light on calories, which I appreciate. 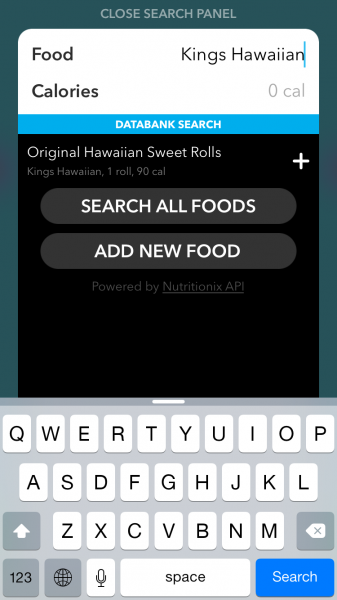 When you want to record calories, just tap on the big “Record Calories” button. There are two different ways to add a new item: you can manually type it in and search her database, or you can use the barcode scanner. Once you have added several items, the most latest three entries are available for quick select next to the barcode scanner, though this is part of the “Ruthless Efficiency” collection in-app purchase that sells for $1.99, which also includes the Multi-Add button. As you record calories for the day, you’ll see your avatar gain some meat on his or her bones, and the background, which serves as a progress meter, will fill up with bubbly green stuff. 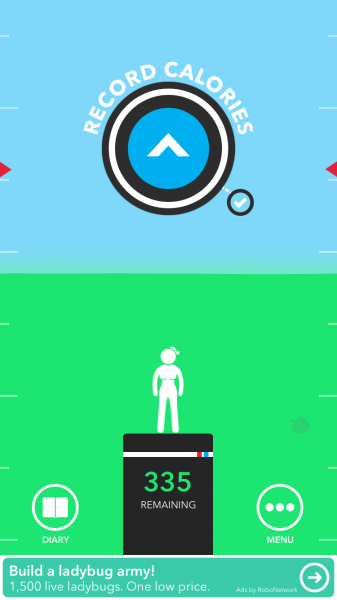 Your goal, which is seen on the stand your avatar stands on, is marked with the red arrows on the background, and if you go over, Carrot will be mad, and turn red — you don’t want to make Carrot mad. When you work off those calories, you’ll want to report that to Carrot. Yes, she can record your exercise as well as caloric intake, what a coincidence. To record activity, just tap on the red “fire” button when adding a food item — this switches over to the activity tracker. Search for the activity you’ve just completed and how long you did it for, and she will calculate how many calories you’ve just burned. After you use the app for a while, you can see all of your logged food and exercise in the Diary screen. Tapping on an entry pulls up the full details for it, which is handy. 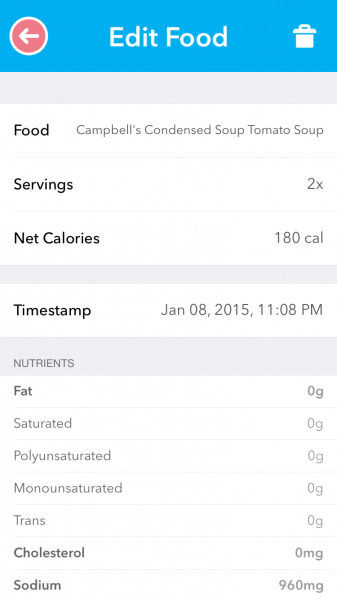 Food items show number of servings you had, net calories, and nutritional information. Exercise just shows how long you did it for and the calories you burned. In Carrot’s “More” menu, you can find your profile, the store, set up reminders, access settings, and more. 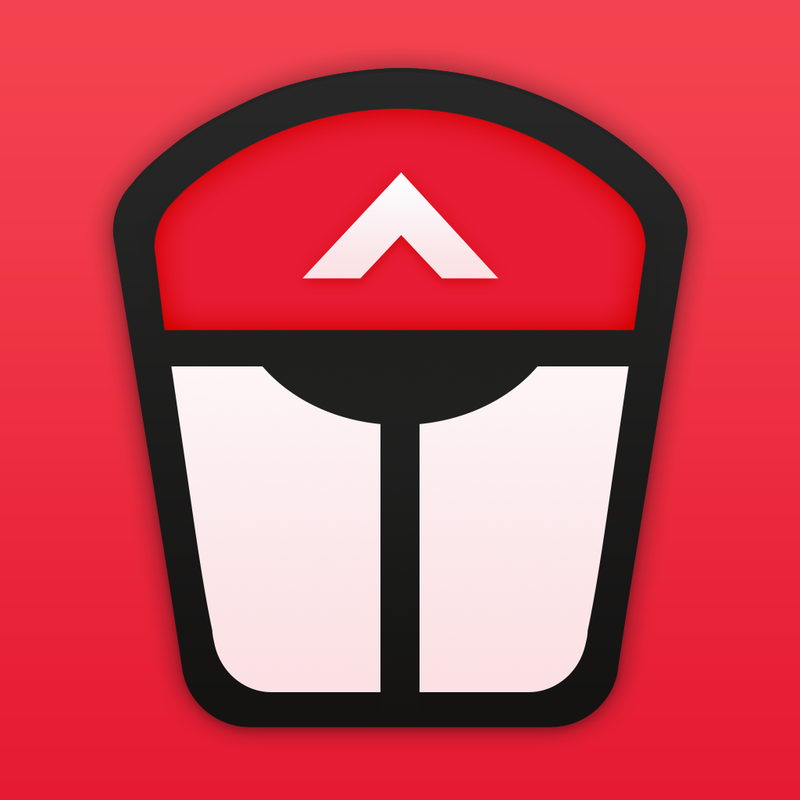 The profile will have your data and stats during use of the app, so you can see your progress easily. The Store is where you can find all of the in-app purchases that are available, including the AdCrusher 2000 Robot and bronze, silver, or gold platforms for your avatar. Yes, Carrot Hunger is a free app and has ads, though half of them are fake, and perhaps even things you want to see. One of the punishments if you go over your goal is to bribe Carrot with a dollar to keep her happy, or suffer her wrath with full screen ads. The choice is yours. Reminders are handy if you tend to forget to eat, as Carrot can remind you for breakfast, lunch, and dinner, or even the end of the day. 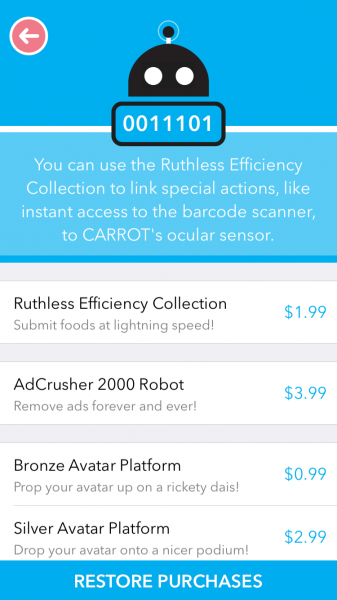 Another special feature of Carrot Hunger is the fact that it can integrate with iBeacons. 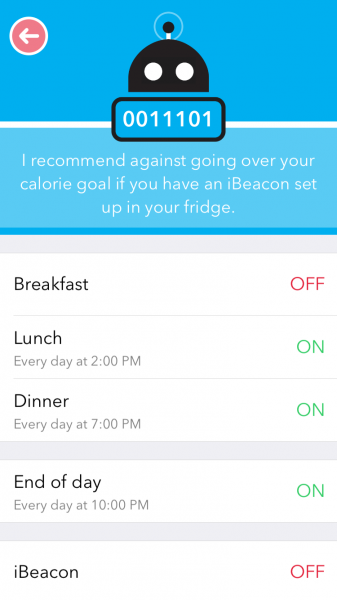 This means that if you set up an iBeacon near your fridge or dining area, Carrot can remind you to log your foods when you’re within range. But it would be best to stay away from the area if you’re already over your calorie goal. I don’t own iBeacons just yet, so I was unable to test this feature. 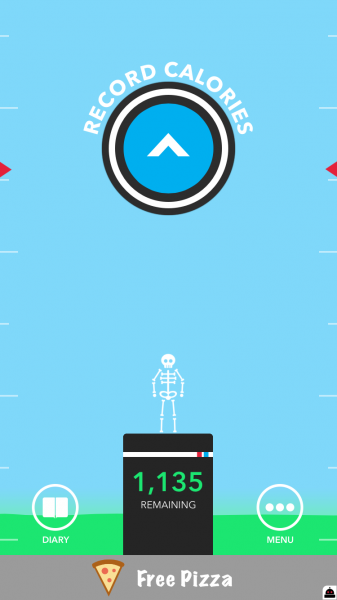 But if you have some, then this app is worth trying just for the iBeacon integration alone. So far, I’m loving Carrot Hunger, as I expected. It’s smartly designed and intuitive to use, but there are still some improvements I’d like to see in the future. 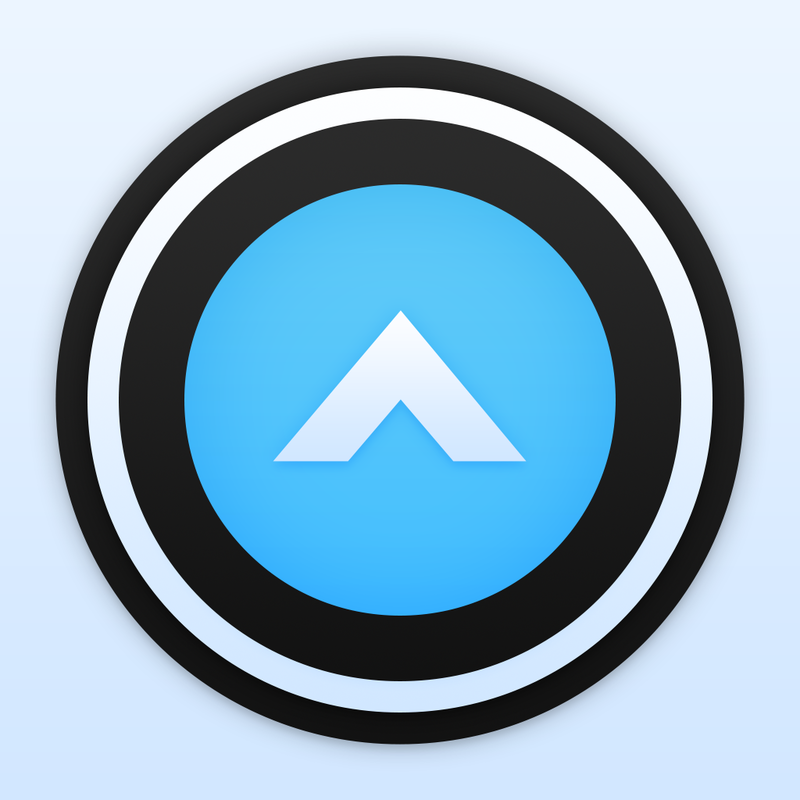 Right now, exercise can only be tracked manually — I would like to see integration with the M7 and M8 chips in the iPhones so she can make use of the device’s activity data. I mean, this is implemented in Carrot Fit, so why not Hunger? 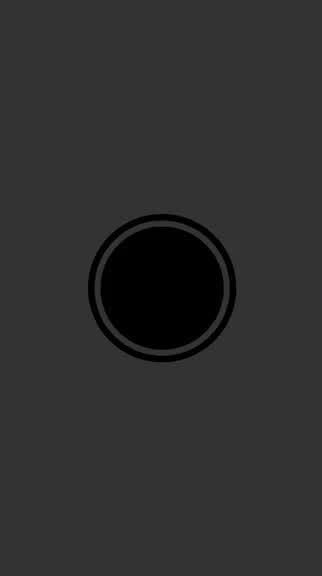 Hopefully the developer can add this in an update. 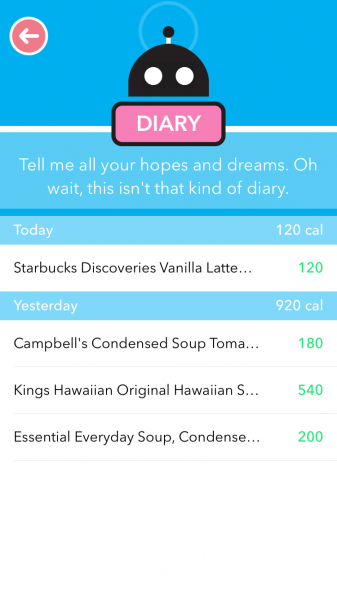 I’ve tried a few calorie trackers in the past, but they don’t keep me coming back like the Carrot apps do. This one will be my go-to calorie counter now, because she’s hilarious and the app does provide some useful secrets for healthier eating. I highly recommend giving Carrot Hunger a try for yourself if you are looking for an app to help you eat right this year. 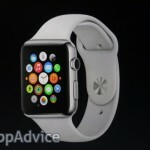 You can find it on the App Store for free with in-app purchases.